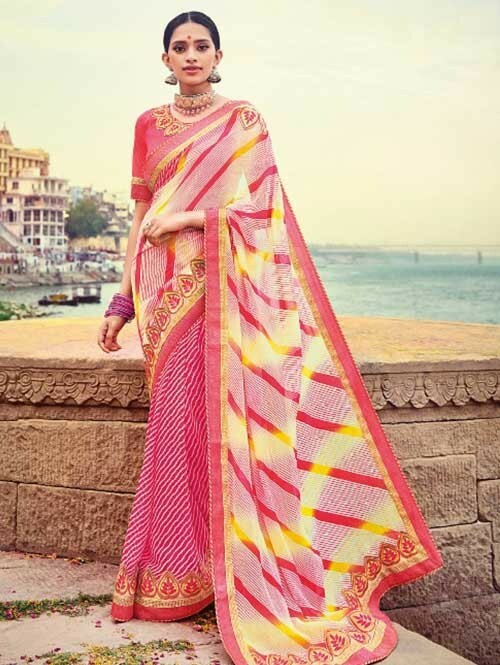 Its a master piece in its class glorifying your timeless beauty. 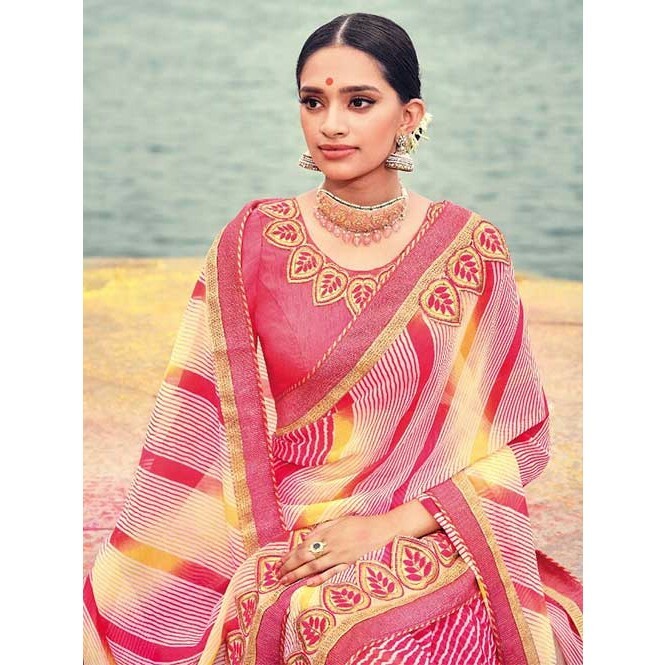 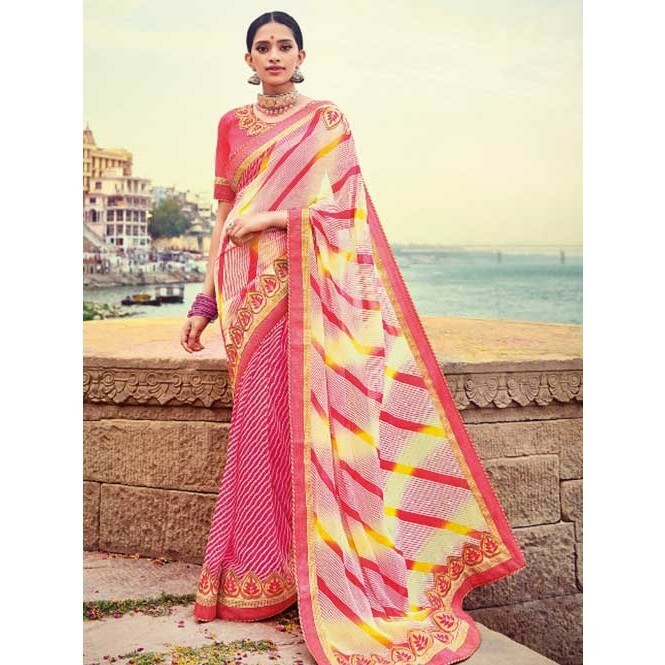 All of this hot Peach Colored georgette leheriya saree is made with geometric pattern sequin embroidered contrast color border patch frames the look. 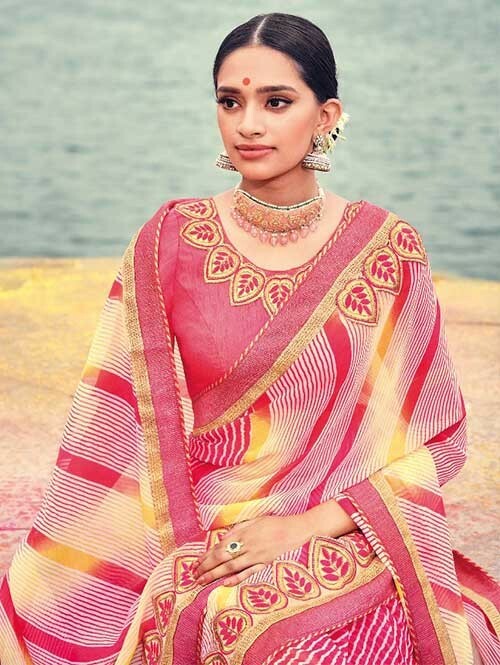 Comes with matching blouse.